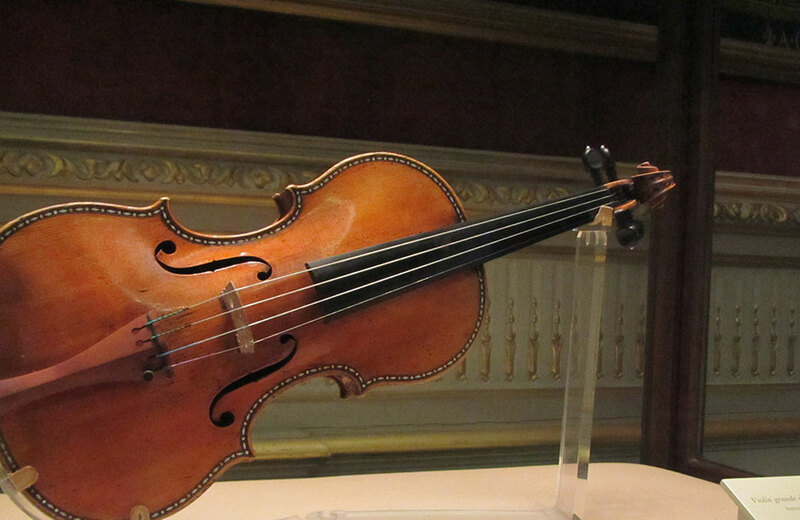 Double-blind tests in 2014 found newer violins have a preferred sound, shocking many. But it’s music to the ears of violinists with smaller budgets. If beauty is in the eye of the beholder, and taste is on the tongue of the gourmand, is the sound of the sweetest violin only in the ear of a melophile, or “music lover”? Each of these begs the question on superlatives: is there a “best” for everything? And since the time of Antonio Stradivari (1644-1737), luthier of the eponymous Stradivarius, it’s been a matter of conventional wisdom that his fine violins were in fact the best of the best. But are they? Two recent double-blind tests suggest that may not be the case after all. First, a little background: Craftsmanship, woods available at the time (density differentials, perhaps due to colder weather conditions when the source trees were growing), varnishes made of egg white, honey, and gum arabic … all are thought to have contributed to the quality and mystique of the fine cellos, violas and violins Stradivari crafted. Most recent auctions of individual Strads have fetched in excess of $15 million. According to CMUSE, a music news and entertainment website, world-class violin soloists who play Stradivariuses include Anne-Sophie Mutter, Itzhak Perlman, Joshua Bell, Salvatore Accardo, Edvin Marton, and Anne Akiko Meyers. Famed cellist Yo Yo Ma plays a Stradivarius cello. Tests comparing Stradivarius violins with newer top-quality violins were conducted under the direction of musical acoustician Claudia Fritz (Pierre and Marie Curie University in Paris), violinmaker Joseph Curtin of Ann Arbor, Michigan, and their colleagues. The first was with six violins, three Strads and three top-quality modern violins. It was conducted in a hotel room in Vincennes, the suburb of Paris, by two violinists who wore modified welding goggles to prevent them from knowing if they were playing old or new instruments. Fifty-five listeners rated each instruments, and the outcome favored the new violins. The first study met criticism – too small a sample, too few listeners, in a hotel room and not a concert hall – so the researchers expanded their study with a second test in 300-seat auditorium in New York City before an audience of 82 listeners. The outcome was the same: new violins beat the Strads. This study was published in Proceedings of the National Academy of Sciences of the United States of America (“Listener evaluations of new and Old Italian violins,” Fritz, Curtin, et al, 2017). One point made repeatedly by the listeners was about the instruments’ projection, the loudness of the sound. The newer violins won on that score, and the ratings for projection correlated with ratings for overall sound quality. While this may tarnish (for some) the perception of Stradivariuses, it could be otherwise seen by the vast majority of violinists as a plus. Modern violins at modest prices might not be a compromise for virtuosos. It also bears noting that double blind tests have debunked the differences between bargain-price wines and their $100-per-bottle cousins. And top chefs have been fooled with imitation crab, thinking it was the real thing. The German violinist Christian Tetzlaff formerly played a Strad, but ditched it (well, not technically thrown in a ditch) for a violin made in 2002 by Stefan-Peter Greiner. Why? It doesn’t perform well for “big Romantic and 20th century concertos,” he says.